Flora Dunbar is dead. But it isn’t over. The spectre at the funeral is Flora herself, unobserved by her grieving family and the four men who loved her. 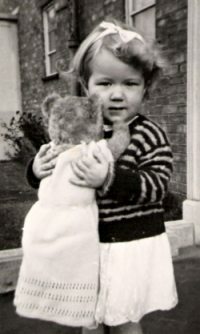 Looking back over a turbulent lifetime, Flora recalls an eccentric childhood lived in the shadow of her musical twin, Rory; early marriage to Hugh, a handsome clergyman twice her age; motherhood, which brought her Theo, the son she couldn’t love; middle age, when she finally found brief happiness in a scandalous affair with her nephew, Colin. One of the things that has struck me raising a 28-year-old daughter is how she seems to have little sense of women in the 20th century, what we fought for, what we achieved, what very great changes a woman of 50+ has seen. When my daughter was still at school many of her female friends just wanted to get married, have babies and live off their husbands. There was so little aspiration, as if Feminism had never happened. It's not useful to generalise, I know, but these days some young women seem unambitious, so dull compared to us! Mature women's lives have been full, varied, exciting, often tragic. We have tales to tell because we've been around the block a few times and have collected some interesting souvenirs. This is a fount of story-telling that has been tapped by few popular writers - people like Atwood, Drabble, Shields, Weldon, authors of so-called "literary" fiction. 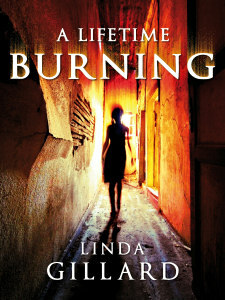 In my second novel, A LIFETIME BURNING, I took five women from three generations of the same family and used their interwoven stories as a vehicle for looking at what it has meant to be a woman at different times in the latter half of the 20th Century - what choices, opportunities and limitations they faced. What you could make of your life depended largely, it seemed to me, on when you were born. I feel very conscious of that myself. Now is a good time to be in my late 50s, but in previous generations I would have been regarded as old. I would have felt old. Actually I would have been old. Pictured above: my maternal grandmother. Pictured below: me, aged 18 months.